Combine a left-leaning indoctrination curriculum with young skulls full of mush and you got yourself a whole lot of new democrat voters! Oregon Live reports that demorat state Sen. Shemia Fagan claims that “younger” teens in Oregon should have a say in their future. Demorats in that state are pushing a bill that would amend Oregon’s constitution to lower the voting age in the state from 18 to 16. They hope to put it before voters in 2020. “Younger Oregonians should have “a chance to participate in the ballot — about decisions that affect their homes, their clean air, their future, their schools and, as we’ve seen, their very lives,” Democratic state Sen. Shemia Fagan said at a Monday press conference announcing the measure. Teens are “begging us to take action to protect their future,” she added. OPB reported that she referenced the student activists from Parkland, Florida, who launched the “Never Again” movement in the wake of the 2018 mass shooting at their high school. Several Oregon student activists spoke at the press conference about why they deserved the right to vote before age 18. “We need to be able to take our work to the ballot and protect the policies we’re working so hard to pass,” South Salem High School senior Maria Torres said. Pressing issues affecting young people have brought the voting age down before. It used to be 21 before the 26th Amendment to the U.S. Constitution, ratified in 1971, lowered it to 18. The amendment was fueled in part by teenagers facing the draft for the Vietnam War, which had become increasingly unpopular. Congress had lowered the voting age in 1970 for state and federal offices, but Oregon objected to a lower minimum age being foisted on its state elections. It insisted the law was unconstitutional and won in the U.S. Supreme Court. This led to the successful push for the 26th amendment. This entry was posted in 2018 Florida Parkland School shooting, Children, Constitution, Education, Global Warming / Climate Change, liberal hypocrisy, Liberals/Democrats/Left, Millennials, United States and tagged Oregon, Oregon constitution, voting age, young skulls full of mush. Bookmark the permalink. Oregon law makers are doing everything possible to steal California’s title of land of fruits and nuts away from us. They likely will want the same for illegal aliens living in sanctuary cities as well. 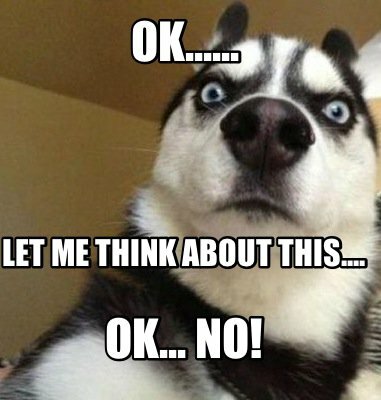 And I love your husky meme! What do you expect from a 16 year old that leaves caca tracks on his/her underwear? The biggest mistake ever done to the state, and the saddest part is that copycat states will follow. Pardon the comment but that is the truth! Most eighteen year olds are not politically savvy, most sixteen year olds can’t even spell savvy. There are hundreds/thousands of this type of article out there. I can just see it now: “I’m 16 and I vote, but I can’t buy beer? !” Hey—in NYC you can’t buy any kind of tobacco until you’re 21! Minors MUST NOT be permitted to wield political power. That is what this proposal is all about. Think about it: Let’s say this idea is a good idea. Do you honestly believe the Elites are going to let them have it without any strings attached? Hardy Har Har. What the hell is wrong with you Eowyn? You are on the WRONG side of this one. 16 year olds are smarter than any of you AND they have never watched CNN a day in their lives. I know, I have a 17 year old. The REAL fight should be against “mail in voting” which is TOTALLY non-verifiable. Oregon and Washington should NOT be off your list of redeemable states.